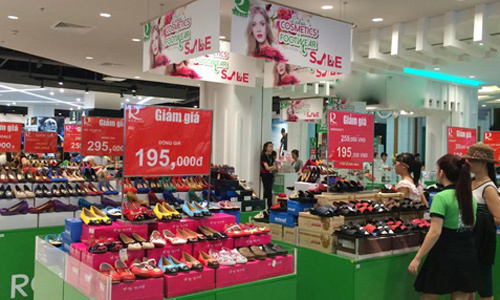 According to a report on Vietnam’s retail property market by real estate service firm Jones Lang LaSalle Vietnam (JLL), the development of technology in the retail sector has been reshaping Vietnamese consumers’ shopping behavior. The popularity and convenience of shopping online is causing businesses to transition from physical outlets to online stores. Realizing this, operators of commercial centers have started welcoming non-retail tenants, especially platforms with a community nature, like co-working space providers, education companies and gyms. Operators of commercial centers have started welcoming non-retail tenants, especially platforms with a community nature, like co-working space providers, education companies and gyms. There is increasing demand for co-working space, gyms and education services for mall space in HCMC, usually for long-term leases of 5 to 10 years, said JLL. “Office staff, especially millennials, are increasingly shifting to working-hours and conditions that improve their work-life integration. Trade centres are then becoming an ideal location, where workers can learn a new language or participate in yoga sessions just a few steps from their office,” said Stephen Watts, general director of JLL Vietnam. A report by real estate firm CBRE Vietnam in June last year documented 34 coworking spaces in Hanoi and Ho Chi Minh City, an increase of 62 percent from 2017. In the last five years, the number of coworking venues in Vietnam has grown by an average of 55 percent a year, it says. Foreign language classes or gyms inside a shopping mall also allows tenants to take advantage of the mall’s facilities, such as location, large parking space, as well as being in the vicinity of a large range of other services including shopping, entertainment and dining. In return, famous fitness, co-working and education brands can attract a stable number of visitors, thousands of members who will enter the shopping mall regularly, some of whom will be enticed to shop at a range of products offered by retailers in the mall. Furthermore, fitness, education and co-working space businesses cannot convert themselves into online models, providing repeat business for the long term. “We anticipate this will be one of the main trends in the next ten years. Commercial lessors will have to reposition themselves to maintain attractiveness in this dynamic field. Failure to adapt will inevitably lead to high vacancy rates,” Watts said. The Vietnamese e-commerce market grew by 25 percent last year and is expected to maintain this rate for the next three years, according to the Vietnam E-Commerce Association. According to JLL, by the end of 2018, total supply of retail rental space in both HCMC and Hanoi was over 2 million square meters, with occupancy rates reaching 89.7 percent and 88.1 percent respectively.